Religious Studies is a literacy based subject which helps to develop a student’s written and verbal communication skills. Religious Studies challenges and equips students to lead constructive lives in the modern world. Opportunities will arise for educational visits and external presentations which will enhance the learning experiences. This is a full GCSE qualification accredited by AQA where students will learn how to apply their literacy skills to develop their ideas for essay based questions. Students will evaluate and reflect on their work and that of their peers throughout the course allowing them to improve and reach their full potential. Communication skills are paramount in the learning as is ability to develop personal opinions with justification and evidence. This course will also help prepare students for the future. The course offers excellent progression to A-Level courses. Studying religious studies can lead to careers in law, teaching, social work, counselling, nursing, administration, journalism, librarian, minister of religion, youth and community worker and many more. Christianity- history, key beliefs- trinity and salvation, worship, festivals, family life. Islam- history, key beliefs- five pillars and the oneness of God, worship, festivals, family life, prophethood. 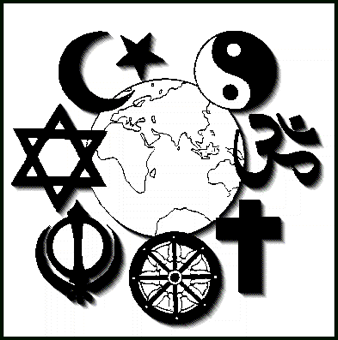 Theme B: Religion and life: creation and ethics.